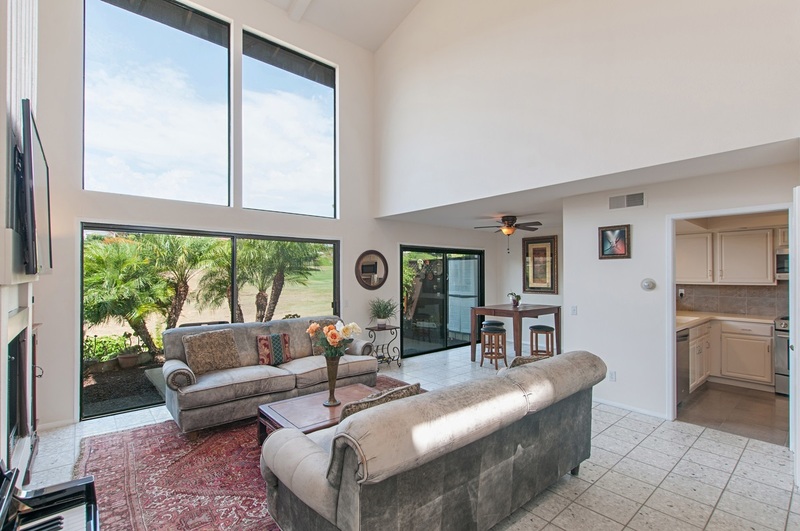 Fantastic Town Home in the Santa Helena community of Solana Beach. One of the best priced Town Homes in the area if you can find one at all. Vaulted ceilings with unique architecture design. Open light and super bright property, property can be enhanced to a three bedroom town home which would increase the square footage by 4-500SF. Great value, great location. Steps to your own green belt in the back yard, just 100 yards from the #4 tee. Terrific pool, spa recently redone. Shows Awesome!